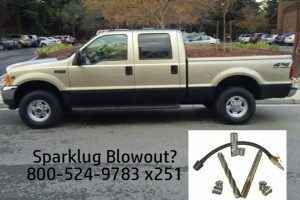 If you’re new to our blog, we sell spark plug thread repair kits for Fords. We’ve answered many questions over the years regarding these repairs in our blogs, videos and on the phone (800-524-9783 x-251). Here’s another question from one of our recent customers. Question – I want to be equipped to fix Ford 3 valve spark plug threads. I see that there are kits for pre 2004 and 2004 up. Is there a master kit for all applications? I am very confused as this is not well documented. Answer – There’s no master kit. 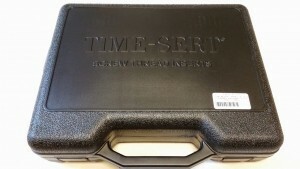 Time Sert 5553 is for 2V engines. For a lower cost alternative see our Calvan 38900 listing. Our Calvan listing also has a more detailed application list. You’ll see that the 2004 cutoff (switching to 3V from 2V) does not apply to ALL models. The Time Sert 3221 is for 3V Ford engines up to around 2008. The lower cost alternative is the Calvan 39300 which is for 3V engines with M16x1.5 spark plugs. Also, Ford made a change in some models in late 2008’s using M12x1.25. Ford like’s to switch things up! See the M12x1.25 Time Sert 4212H spark plug thread repair kit for that application. 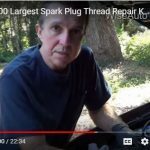 Researching spark plug blowouts? You’re not alone. For more information on our spark plug thread repair kits; like which kit is best for your application see the following article. 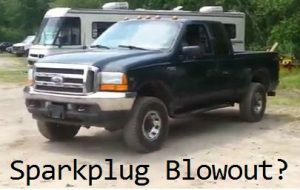 Ford Spark Plug Blowouts – How to Repair. 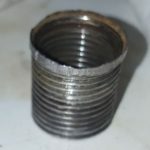 DennisB DenLorsTools.com © Summary: Here’s a common question we get when it comes to Ford spark plug blowouts and which kit to use on 2001 and up Ford RF-1L2E Romeo style heads. Because of the extra step material the spark plug may sit up a little higher if a counterbore is not used. Then there’s the issue with parts store kit like the Helocoil Save-A-Thread kit that commonly fail making the hole bigger, which requires an oversize repair kit. We deal with this all the time. The heads can be saved in most cases if done properly with a good quality kit like the ones we sell. DennisB DenLorsTools.com © Summary: We sell the ATD5401 at a great price. It’s a replacement spark plug insert that is installed using the ATD-5400 spark plug thread repair kit typically used on Ford 4.6, 5.4 and 6.8 liter engines with 2 valves per cylinder. The ATD5401 replacement spark plug insert is a stainless alloy steel insert that lasts the lifetime of an engine when repairing a spark plug hole from a spark plug blowout. See current pricing on the ATD-5401. 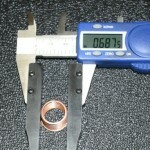 DennisB DenLorsTools.com © Summary: The Time Sert 5600 is one of our most popular spark plug thread repair kits. This is because it can handle the repair of the largest blown out spark plug holes out there. With so many inferior type repairs sold at parts stores, that typically end up failing or never hold to begin with and ALWAYS make the hole bigger, the Time Sert 5600 Triple Oversized thread repair has finding it’s way into more and more vehicle and shop owner’s hands! You’ve got questions, Dennis our resident master tech has answers… including a how to video of him demonstrating the use of the Time Sert 5600 in a Ford F150! DenLorsTools.com Summary: This article was written originally for another website that has since been discontinued. 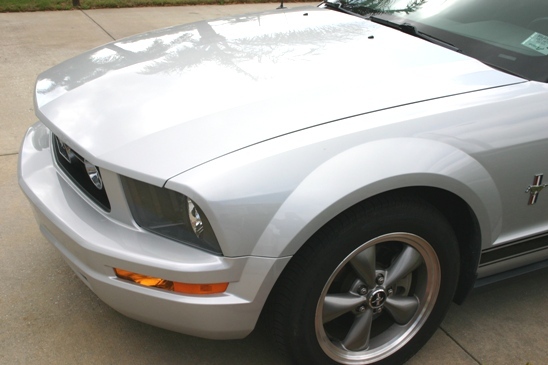 Paint bubbling on Ford Mustang’s is a common issue. 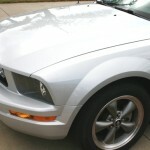 At first glance the bubbled or blistered area looks like rust bubbling the paint, but wait this hood is aluminum! DenLorsTools.com Summary: TIME-SERT 5553 spark plug thread repair kit video used primarily on Ford Triton engines from around 98-2004 with 14×1.25mm threads. We have free next day shipping on this and many other Time-Sert thread repair kits. 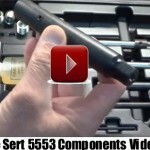 The video linked above shows the parts breakdown of the 5553 kit. The TIME-SERT 5553 spark plug thread repair kit is a Big Sert kit which is over sized (larger than standard kits). It is used primarily on the Ford 4.6, 5.4 and 6.8 Triton engines. Those engines have had a common issue with spark plugs blowing out. 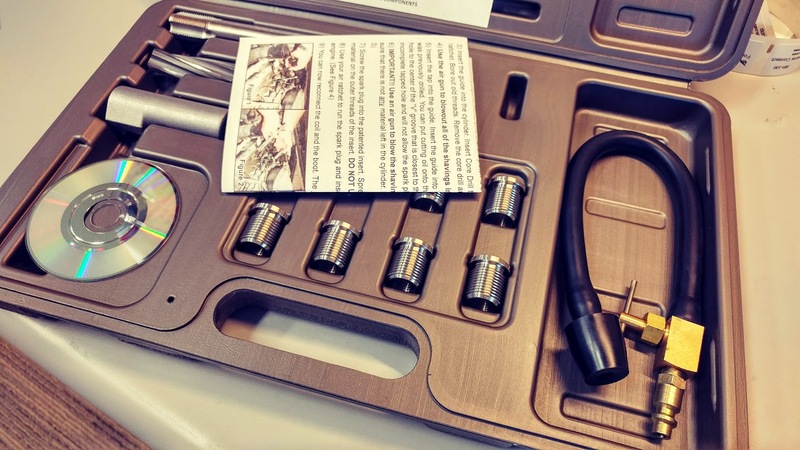 The kit can also be used on some other applications using taper seat spark plugs with M14 x1.25mm. The 5553 kit uses a 51549 part number which is larger on the outside diameter than many other competitive brands. Fully threaded inserts are also available, see the TIME-SERT 5553 thread repair kit, product listing at DenLors Tools for more information or call us at 800-524-9783. 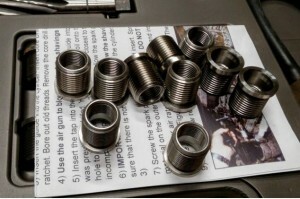 © DenLorsTools.com Summary: Jump to Time-Sert 3221 Ford 3V Spark plug repair kit. The 3221 thread repair kit which uses PN 32214 inserts is designed for replacing damaged threads in Ford 4.6 and 5.4’s that use “Ford’s Better Idea” spark plugs. 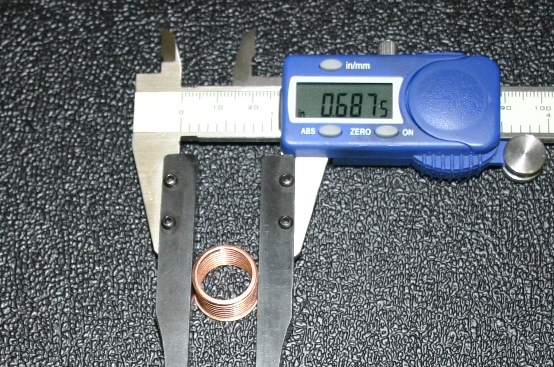 This article covers, measurement of the outside diameter of the 32214 spark plug insert which comes in the Time-Sert 3221 thread repair kit.